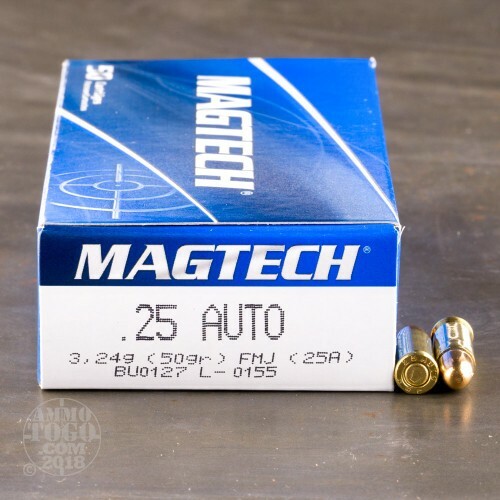 The 25 Auto is a more viable choice for self-defense than the 22 LR owing to its superior power when fired from a short barrel. 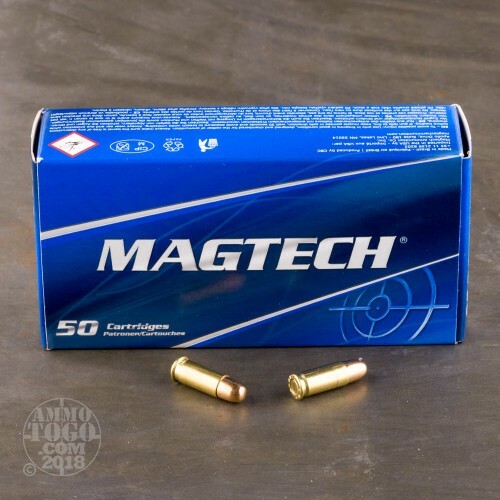 If you favor so minuscule a pistol for personal protection, then you’ll appreciate the opportunity to train with this high quality cartridge from Magtech. 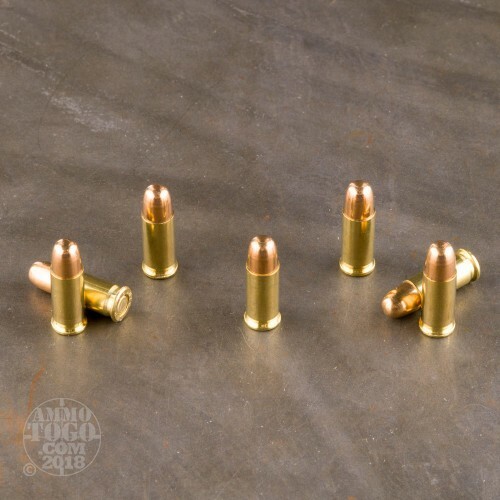 This round has the 50 grain projectile that’s standard for its caliber, and it dons a full metal jacket to ensure it leaves less fouling in a pistol’s bore. This bullet’s round nose profile will facilitate its penetration through a wide variety of plinking targets. 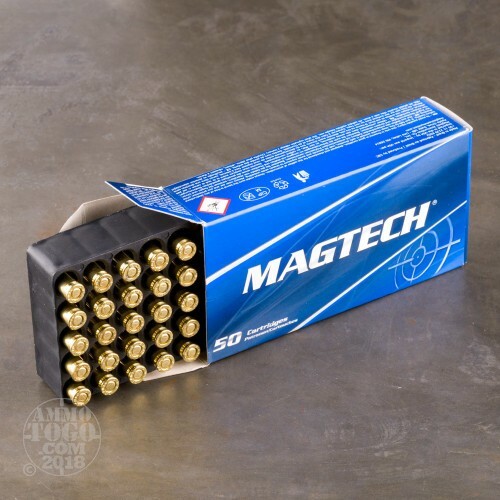 Magtech is known for their ammunition’s high quality components, which they meticulously craft from raw materials and subject to exhaustive quality control protocol. This cartridge’s Boxer primer guarantees reliable ignition while you’re at the range, and it ignites without producing corrosive residues which could harm your pistol over the course of time. Its brass casing is reloadable as well.